MONSTERS UNLEASHED Unleashes Monster-Sized Tie-Ins! Oversized One-Shots For Your Favorite Titles Beginning January! New York, NY—October 18th, 2016 — This January, it’s all hands on deck as the Avengers, the Champions, the Guardians of the Galaxy, the X-Men, the Inhumans and more stand toe-to-toe with hordes of giant monsters in MONSTERS UNLEASHED #1! As Cullen Bunn and five of the biggest artists in the industry bring you a spectacular clash of heroes vs. monsters, the action is spilling out into the rest of the Marvel Universe! 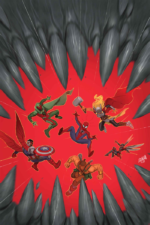 Today, Marvel is pleased to announce SPIDER-MAN/DEADPOOL #1.MU and AVENGERS #1.MU as the first two one-shots getting in on the massive monster mayhem! 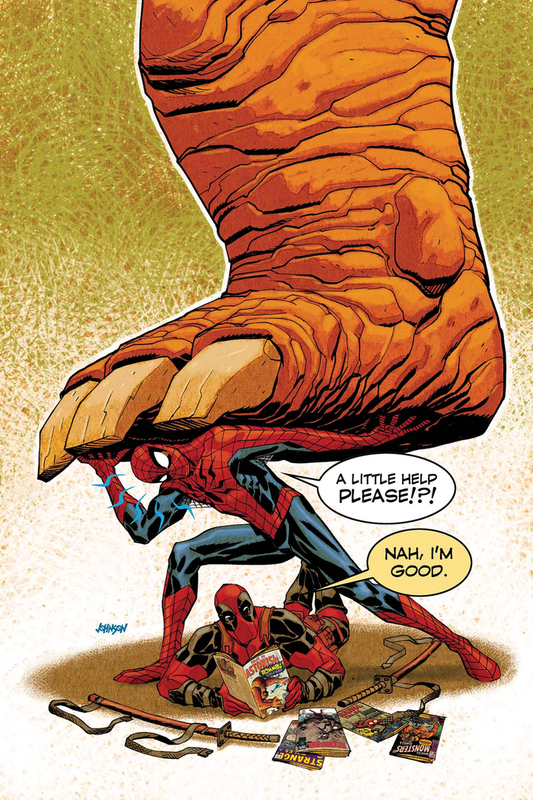 It all kicks off in SPIDER-MAN/DEADPOOL #1.MU, as the Marvel’s resident odd couple comes face-to-face(-to face?) with one of the hundreds of giant behemoths smashing and stomping their way across the Marvel Universe! Spider-Man swings into action, but what can one wallcrawler do against just one of these massive monstrosities? Thankfully he has Deadpool backing him up! Just kidding, Deadpool is going to be about as helpful as he usually is. 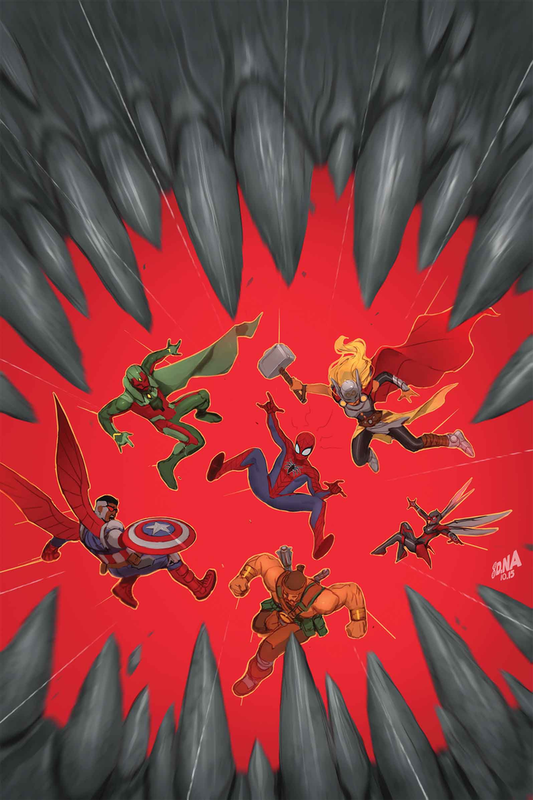 Then, Earth’s Mightiest Heroes take the fight to the monsters in AVENGERS #1. MU! Can a team of some of the strongest characters around hold the line against the monster invasion? Or will they be crushed like everyone else? We’re just getting started, True Believer! You won’t want to miss the massive monster mayhem as Monsters Unleashed rampages across some of your favorite titles next year! Don’t miss AVENGERS #1.MU and SPIDER-MAN/DEADPOOL #1.MU when they come to comic shops and digital devices in Jaunuary! Plus, look for more oversized .MU one-shots coming to some of your favorite titles in February and March. 40 pgs. – On Sale in January!